Living in Buenos Aires - hunting.places. 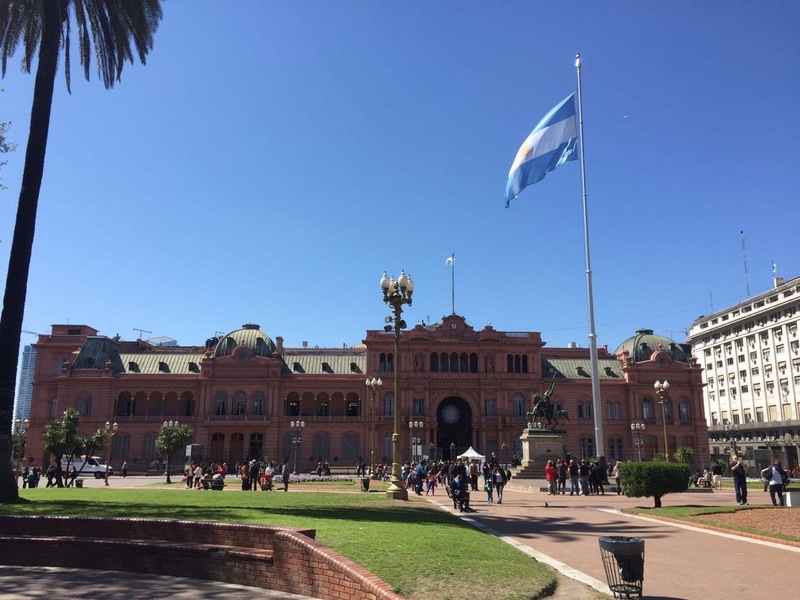 A few months ago, I had the amazing chance to live and work for three months in the flourishing city of Buenos Aires in Argentina. This metropole offers great, diverse food, a pulsating nightlife and welcoming and incredibly friendly people. With 13 million people living in the metropolitan area of Buenos Aires, the city is by far the largest in Argentina. It almost makes up a one-third of the population of Argentina. The city lies in the east of the country and adjoins at the delta of the “Rio de la Plata”. At first, I thought this was the actual shore to the Atlantic Ocean but apparently it still belongs to the river. The most amazing part of my long stay there was the chance to explore all the various and diverse “barrios” (districts) with new found friends. You can find different types of restaurants, bars, atmospheres and often you find historical street names and important monuments. This grants Buenos Aires a special vibe and a unique charm I miss to this day. The amazing opportunity to explore the city as a resident rather than as a tourist has enabled me to form close friendships to many locals. With those, you certainly encounter special places and delicious restaurants that you could not have visited as a tourist since you would not be able to find them. I lived in San Telmo, right in the city centre near the presidential palace (La Casa Rosada) in a student residence. It was a unique opportunity to get to know students from Argentina as well as from all over South America. Although I struggled with the Spanish language in the first few weeks, I was heartwarmingly welcomed everywhere. Not only do the Argentinians show understanding towards the language barrier but they honestly appreciated every conversation I had with them and always tried to integrate me. This really was a wonderful experience and completely shaped my picture I now have of South America. During my time in the office, I experienced the intensive contact with colleagues, friends and family with plays an important role in daily life. According to my personal understanding, this contact is easily established as weekly football matches among employees are held after work. On Fridays, associates brought snacks and other pastries to the office, leading to a collective breakfast. Often times, I got to know something about the hobbies of colleagues` children and their weekend activities. Interestingly, the way of greeting in Argentina differs widely from my usual understanding – here you receive warm “besos” instead of a common handshake! Another habit exists, for example, another common meal, which – in my opinion – does not exist correspondently in Germany. You can picture it sort of like an afternoon or evening snack with Mate (a traditional kind of tea) and a small snack. Normally, the people meet at around 5 to 7 pm for snacking prior to dinner. Most of the times, people dine very late, from a German perspective. I definitely had to adapt to eat dinner usually after 9 pm and on weekends even later. But this was not a problem at all because I deeply appreciated the way of life in Argentina. Once you open up towards a new culture, you will be surprised of how much value it can bring to your life. Since I was able to experience the city as a resident rather than a tourist, I might have different recommendations. The main thing to consider is that every “Barrio” (district) in Buenos Aires is different. That is a way you should try to visit as many as you are possibly interested in. Obviously, the districts “La Boca”, “San Telmo”, “Recoleta”, “Microcentro” and “Puerto Madero”, which are all mentioned in normal travel guides should be visited. And they are really stunning and not to be missed. But also consider going to Palermo, an especially vibrating district with an uncountable number of restaurants, bars and nightclubs. It is the place to be if you want to go out for dinner or drinks! You will certainly find something for every imaginable taste in Palermo. Also interesting are the “barrios” Belgrano, Boedo as well as Retiro. In general, I can assure you that you will encounter beautiful spots in every part of this multicultural city. Try out the app “couch surfing” for meeting new people. You can go out literally every night of the week. So do not waste your time and live the life and get to know the friendliness of the people! Safety: Do not be too concerned, however, when walking through dubious neighbourhoods I do recommend taking a taxi. It is not that expensive. ⟵Jumilla – a Spanish paradise for wine lovers.